A lot of the people I follow on my Instagram are fitness bods from the USA. I would always dribble at their food posts and wonder how the things they were eating could look so good, be so healthy AND give them abs! Yogurts, jars of flavoured nut butters and other special foods from these special places that don't ship to the UK - I even ordered some from iHerb just so I could try them out. Obviously, I couldn't order things like yogurt from America to my doorstep so when I started seeing Chobani on my supermarket shelf I shouted a "yay!" (in my head) - I could finally try this yogurt everyone was talking about in America. Full of protein, zero fat and a nice amount of carbohydrates from fruit making it a perfect post work out snack. Double "yay!" 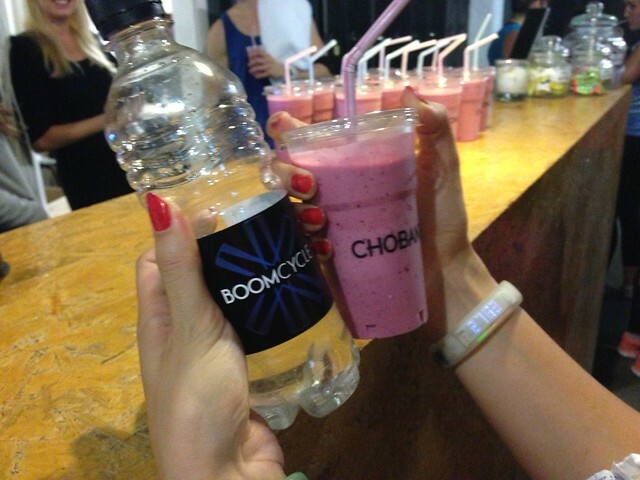 for Chobani inviting us to come down to Boom Cycle for a spinning session followed by a post work out smoothie. Us #BeenSweaty Food & Lycra sisters definitely sweated it out in this session - PEAK can't even describe our sweat levels, we went beyond. I'm hoping you can relate with us here! 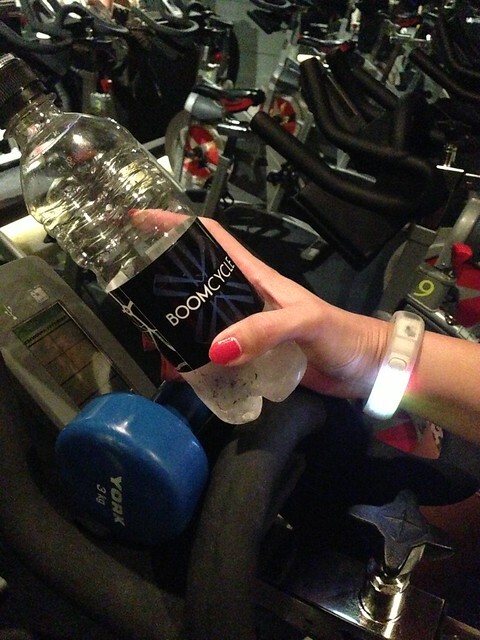 Boom Cycle definitely worked us hard. Our instructor even added some weights into the mix which was great, happy complaints of feeling DOMS in our triceps were made the next day. Chobani by itself is yummy but made into a smoothie it is even better! The guys at Chobani have recipes here for foods you didn't even know you could add yogurt to. 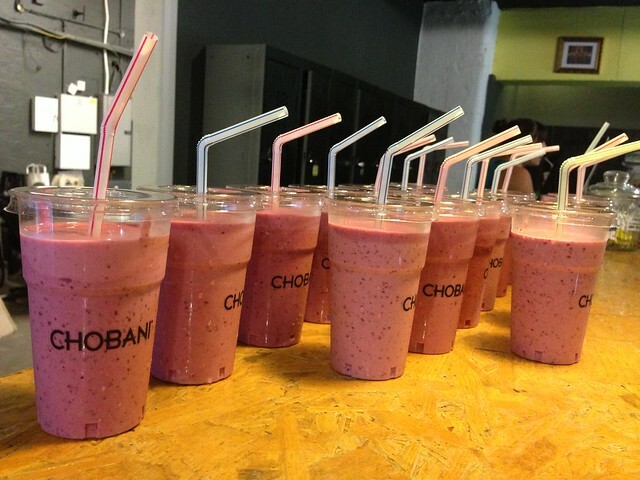 Got any ideas for Chobani recipes? Send them through and we'll try them out.